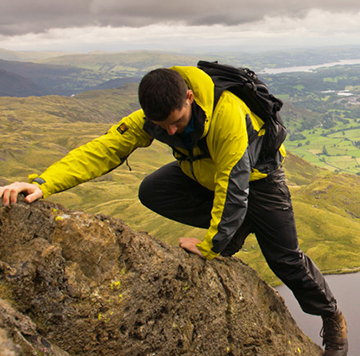 www.whalleyoutdoor.co.uk is a website operated by Whalley Warm & Dry Limited (“we”, “us” or “our”). We are registered in England and Wales under company number 4988190 and with our registered office at King Street, Whalley, Lancashire, BB7 9SN, United Kingdom. Our VAT number is 786315404. Whalley Warm and Dry Limited is committed to ensuring that your privacy is protected. Should we ask you to provide certain information by which you can be identified when using our website, then you can be assured that it will only be used in accordance with this privacy statement. 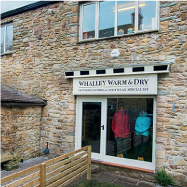 Whalley Warm and Dry Limited may change this policy from time to time by updating this page. You should check this page from time to time to ensure that you are happy with any changes. This policy is effective from 22/05/18. When you visit us in store we have a CCTV system operating. Information from which we can identify you, is held in accordance with the principles of the Data Protection Act. For purposes of the Data Protection Act 1998, Whalley Warm and Dry Limited is the “data controller”. When you place an order with us online or via telephone, we collect information necessary to process that order, this includes name, address, contact details (telephone and email) along with payment information. If you have created an account with us online, we collect name, address, contact details (telephone and email) and keep a record of previous orders and when they were placed. If you decide to join our Loyalty Card scheme in store, we collect your name, address and email address. If you contact us via our online contact form, we collect your name, email address and information provided within the form to enable us to process your enquiry. We do not keep hold of this information after the query has been dealt with unless you have given us consent by ticking the opt-in box to receive our newsletter emails. If you submit a Specialist Boot Fitting appointment via our online form, we collect your name, telephone number, email address, the date you wish to have an appointment, your preferred time and any additional appointment notes you have made on the form. If you book a Specialist Boot Fitting appointment over the telephone, we collect your name, contact telephone number and if you are a returning customer, we ask for you to provide us with your post code so we can locate your Specialist Boot Fitting measurement chart. 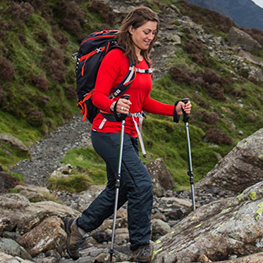 If you have your feet measured as part of our Specialist Boot Fitting service, we collect your name, address, contact details,your foot measurements and notes associated with the fitting. We keep a paper and digital archive of measurement charts to enable us to retrieve the fitting and measurement information if a customer returns for more footwear or if the customer requires a follow-up fitting appointment. Paper fitting charts are kept for a maximum of 5 years whilst digital copies are kept for 10 years. If you enter prize draws or competitions we will collect your name and email address. We do not keep hold of this information after the prize has been drawn unless you have given consent to receive our marketing emails by ticking the opt-in box. If you sign up to receive our newsletters, we collect your name and email address. We use Campaign Monitor to send all of our newsletter emails, Campaign Monitor track when/if you have opened your emails and if you have clicked on any links. We have a CCTV system operating in store for the security of both customers and staff. These systems may record your image during your visit. Recordings are deleted after 2 weeks. We gather and use information about individuals in order to provide products and services both in store and online. We also collect personal information to enable certain functions on our website. Your personal information helps us to understand your needs and provide you with the best possible customer service. To send marketing emails such as our newsletter, special offers and new products to those people who have expressly given their consent to receive such communication. To protect our customers, premises and assets from crime through the use CCTV in store. If we discover any criminal activity or alleged criminal activity through our use of CCTV, we will process this data for the purposes of preventing or detecting unlawful acts. From 25th May 2018, the new EU privacy regulation called the General Data Protection Regulation (GDPR) is in effect. GDPR provides citizens of the EU with greater control over their personal data and assures that their information is being securely protected across Europe. You may request details of personal information which we hold about you under the Data Protection Act 1998. If you would like a copy of the information held on you please write to Customer Services, Whalley Warm and Dry, King Street, Whalley, Lancashire, BB7 9SN. To protect the confidentiality of your information, we will ask you to verify your identity before proceeding with any request you make under this Privacy Notice. If you have authorised a third party to submit a request on your behalf, we will ask them to prove they have your permission to act. You have the right to withdraw your consent for us to process your data. You can update your email address and remove consent to track your activity on opens and clicks of newsletter emails by clicking on the ‘Preferences’ link at the bottom of a newsletter email or by emailing us at info@whalleywarmanddry.co.uk. If you have previously agreed to us using your personal information for direct marketing purposes, including signing up in store for the Loyalty Card scheme or opting-in when entering our competitions, you may change your mind at any time by writing to Customer Services, Whalley Warm and Dry, King Street, Whalley, Lancashire, BB7 9SN or emailing us at info@whalleywarmanddry.co.uk. If you have created a customer account and would now like to delete it, please email us at info@whalleywarmanddry.co.uk. If you think there is a problem with the way we are handling your data you have the right to complain to the ICO. Our website requires the use of some cookies in order for it to function effectively. To process our online orders, our website uses WooCommerce which makes use of three cookies. Two of the cookies contain information about the cart as a whole and helps WooCommerce know when the cart data changes. The final cookie contains a unique code for each customer so that it knows where to find the cart data in the database for each customer. No personal information is stored within these cookies. Our website uses WordPress cookies to verify who you are. There are cookies for logged in users and for commenters. Like most websites, we use Google Analytics cookies to help analyse our website traffic. This statistic cookie helps us to better understand what pages are being viewed, how visitors are interacting with our website and how they navigate through our website. We use this data to help improve our website and tailor it to our customer’s needs. The statistics provided by Google Analytics are anonymous, it is not possible to identify individuals and in no way does it gives us access to your computer or any information about you, other than the data you choose to share with us. We only use this information for statistical analysis purposes and then the data is removed from the system. Our website contains videos to showcase our products and services. These videos use YouTube cookies which keep statistics about how the visitor uses You Tube videos across different websites, registers a unique ID to keep statistics on what videos from YouTube the user has seen and tries to estimate the users bandwidth on pages with integrated You Tube videos. Overall, cookies help us provide you with a better website. You can choose to accept or decline cookies. Most web browsers automatically accept cookies, but you can usually modify your browser setting to decline cookies if you prefer. This may prevent you from taking full advantage of our website. You can contact us by email at info@whalleywarmanddry.co.uk or by telephone phone on 01254 822 220 between 10am -5pm Tuesday to Saturday or Sunday 1pm-5pm.